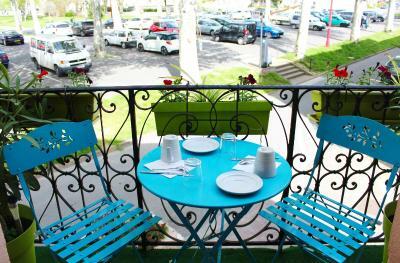 Lock in a great price for Les Platanes – rated 8.6 by recent guests! Excellent breakfast. Rooms a little old but clean and comfortable. Very good location. On Friday night we could enjoy the street markets with food and music. Lovely. It's in a good location with paid parking in front of the hotel. 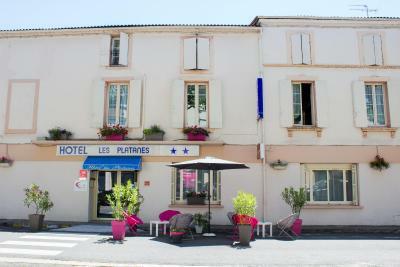 This was a gem of a find and is probably one of the best value hotels we have stayed at in France. It was a very comfortable room - it even had a kettle and good selection of teas and coffee. Staff pleasant and helpful . Wifi didn't work with either of two options but staff allowed is access to their private connection which was appreciated. This fully renovated hotel offers comfortable and well-furnished rooms designed to provide tourists with a sense of autonomy, and business travelers with a sense of efficiency. Free wireless internet is available in the entire building. 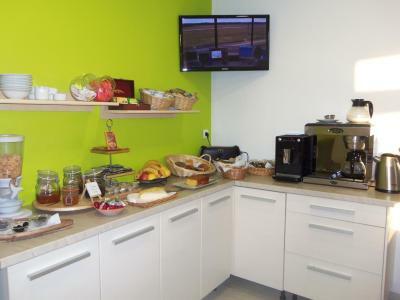 Get off to a good start and enjoy a copious and healthy buffet breakfast in the cozy atmosphere of the breakfast room. Half-board and full-board options are also available. 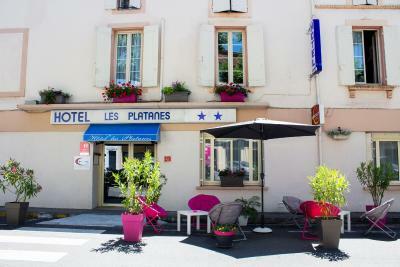 When would you like to stay at Les Platanes? This spacious room is individually decorated and is equipped with a flat-screen TV, a wardrobe, a desk, Wi-Fi and a private bathroom with shower, toilet, hairdryer and free toiletries. This room is individually decorated with warm tones and is equipped with a flat-screen TV, a wardrobe, a desk, Wi-Fi and a private bathroom with shower, toilet, hairdryer and free toiletries. This room is individually decorated and is equipped with a flat-screen TV, a wardrobe, a desk, Wi-Fi and a private bathroom with a spacious shower, toilet, hairdryer and free toiletries. This room features a wardrobe, a desk, a 32-inch flat-screen TV, tea/coffee making facilities, a clothes valet and free WiFi. 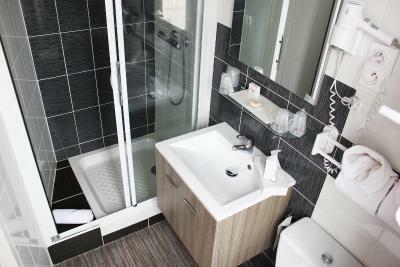 The spacious bathroom features a bath, hairdryer, magnifying mirror, toilet and toiletries. This room is decorated with warm colors and fitted with a spacious shower room. House Rules Les Platanes takes special requests – add in the next step! Les Platanes accepts these cards and reserves the right to temporarily hold an amount prior to arrival. Slightly noisy outside but then we had to sleep with the windows open given the heat. We had the triple room with private bathroom. The bathroom was tiny with a sliding door and the walls not reaching to the ceiling. You're basically sitting pooping in the same room. The toilet had a pulverisor in it which made an enormous noise. Great at night time! The sink was so big that it was in front of the toilet. The shower cubicle is also rather small. Expected free parking nearby but had to return to vehicle every four hours during the day to top up ticket!